Emergencies are not planned situations. And whenever you’re on vacation, especially in a foreign country, it’s always best to be prepared. 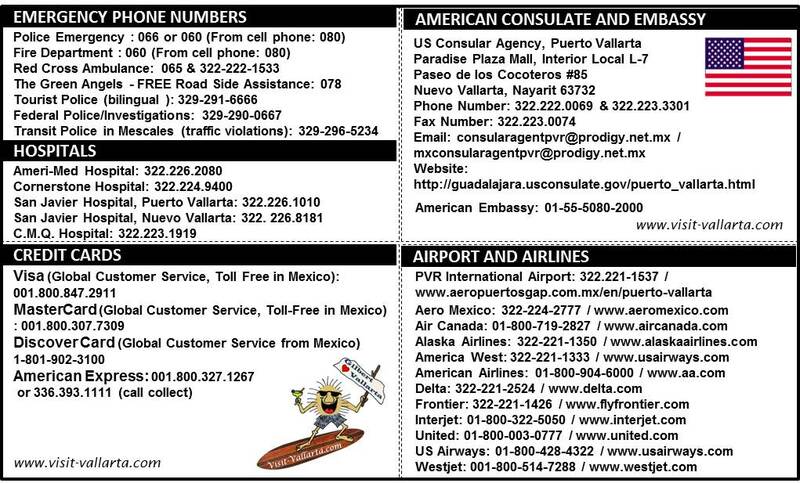 Print out this handy wallet size card with important phone numbers and take it with you on vacation to Puerto Vallarta. Have important phone numbers on hand when you need them. Now there’s no reason to be caught unprepared should you or your loved ones face an emergency situation in Puerto Vallarta. If you’re traveling with your laptop or tablet, we recommend bookmarking this page so you can find it again should you need it. • Emergency phone numbers for your doctors. • Your health insurance card and information. There is no “free medical treatment” in Mexico – not even in emergencies. • Important phone numbers for family and friends so they can be contacted on your behalf in a medical emergency. • Important phone numbers for your banking institutions in the event you have issues with your ATM card or credit cards. Whenever there is a natural disaster in Mexico, good-hearted people want to find out how they can help. During these types of emergency situations the US Consulate in Nuevo Vallarta serves as a donation station to collect items for individuals and families affected by the disaster. 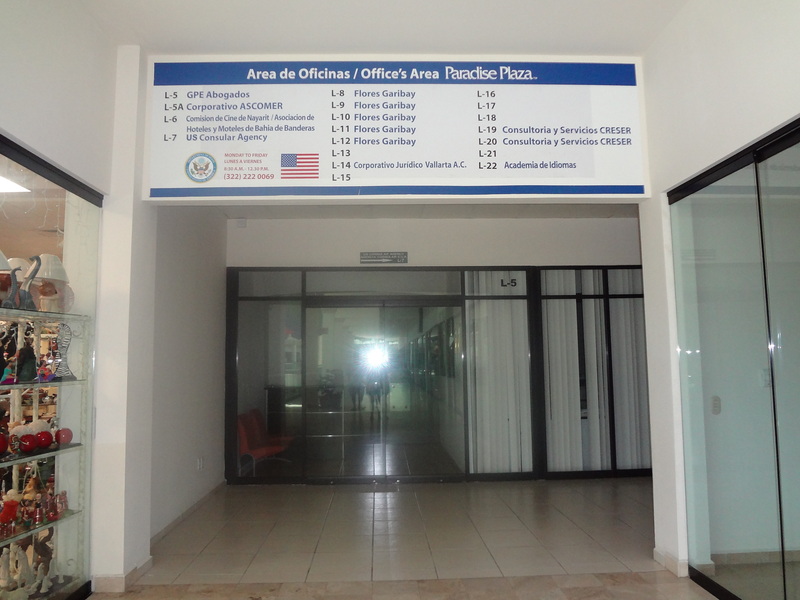 The U.S. Consular Agency for Puerto Vallarta is on the second floor of Paradise Plaza Mall in Nuevo Vallarta. Be prepared for an emergency. 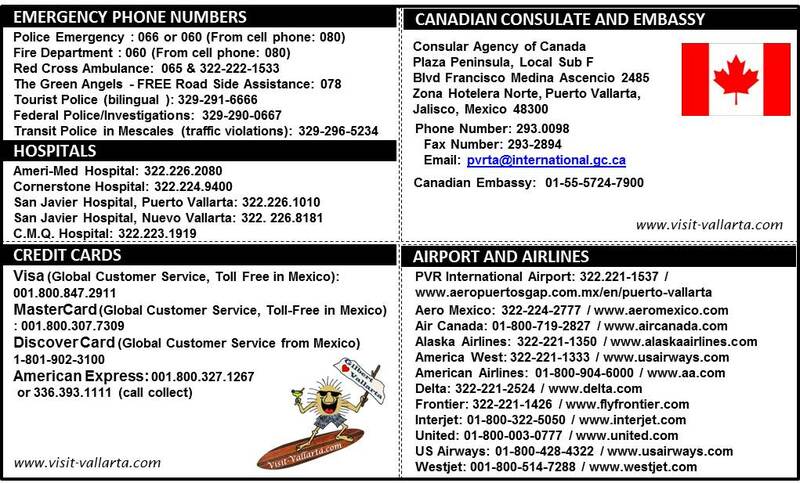 Print out important phone numbers prior to your vacation in Puerto Vallarta. Below is a list of the items most needed during any type of natural disaster (this list was compiled by: Hector Aguirre, Consular Assistant, United States Consular Agency PV). Drop off donations at the US Consulate in Paradise Plaza Mall.